Wanna grab two easy freebies at Kroger this week? Here are two deals that don’t even require printing or cutting a coupon! 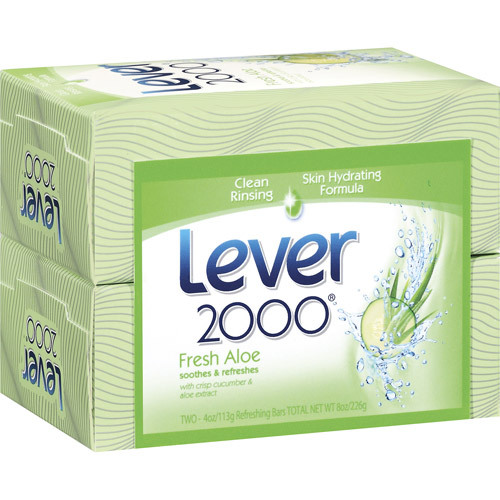 I’m excited about the soap, it’s my husbands favorite brand and while we see deals… rarely do we see free! There is a $2 catalina coupon printing when you buy 2 participating Lever products. Right now the 2 ct. boxes of soap are generating the catalina and they are on sale for $1 a box! That means you buy 2 boxes (4 bars), pay $2 and get a coupon for $2 off your next purchase! You can turn around and use it right then to buy more soap! (2) Lever 2000 Bar Soap, 2 ct. box, $1 ea. If you don’t want more soap, that’s fine. The $2 off coupon is good for anything you buy. 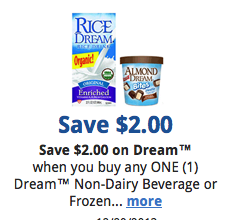 Head over and save a Kroger eCoupon to your shoppers card for $2 off any Rice Dream product. Then head to the store this week and grab a quick and easy freebie! This sale will end Saturday. Tip: Click on the “General” category on the left hand side to find the eCoupon faster. See all the other deals at Kroger this week.